FRAMINGHAM, Mass. 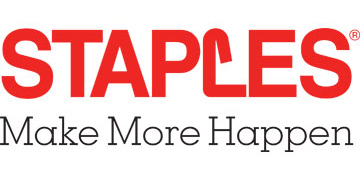 & BOCA RATON, Fla.--(BUSINESS WIRE)--Staples and Office Depot today announced an agreement to sell more than $550 million in large corporate contract business and related assets to Essendant. Essendant will pay Staples approximately $22.5 million. More than 25 percent of the revenue acquired by Essendant will be from Fortune 100 companies and approximately half of the revenue will come from Fortune 500 companies. The transaction is subject to the successful completion of the proposed merger of Staples and Office Depot, as well as other customary closing conditions. The commercial business and assets being divested relate primarily to accounts held by Staples and Office Depot acting as wholesalers to minority and woman-owned office supply resellers. The acquisition of this business and related assets will significantly increase Essendant’s presence with large corporate customers, improve Essendant’s capabilities, and further enable independent dealers in combination with Essendant to more effectively compete for national account business.